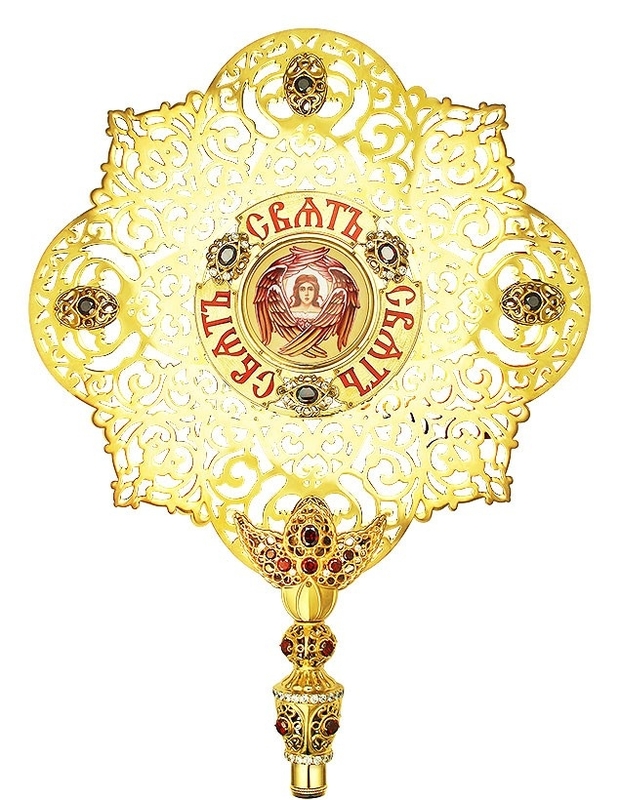 Wondering where to buy magnificent processional fans that bring to life Orthodox Christian liturgical and arts traditions? 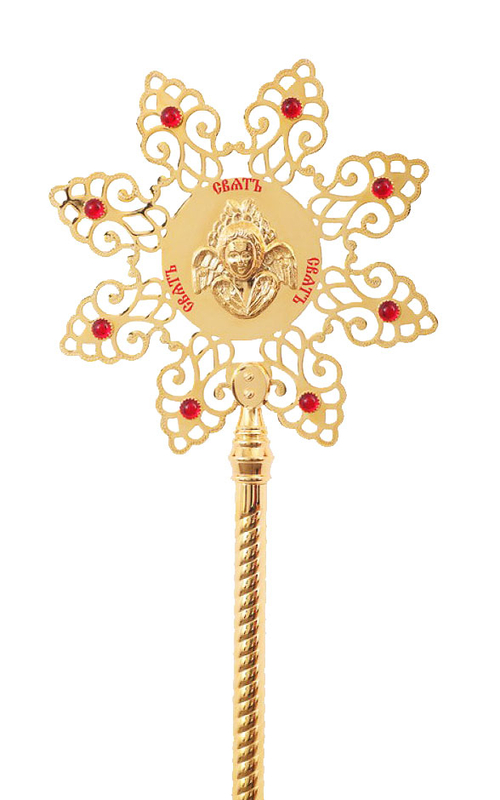 Istok Church Supplies has an extensive collection of these items in stunning designs. 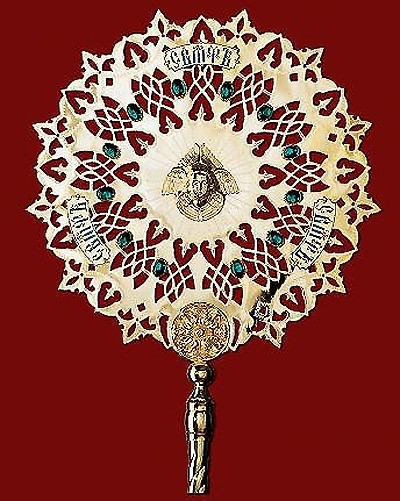 Carried by altar servers during important processions including the Great Entrance, processional fans play a vital role in keeping alive Orthodox Christian worship traditions. Known by different names including ‘ripidions’ in Orthodox Greek communities and ‘repida’ in Orthodox Russian communities, they follow liturgical arts traditions passed down through centuries. 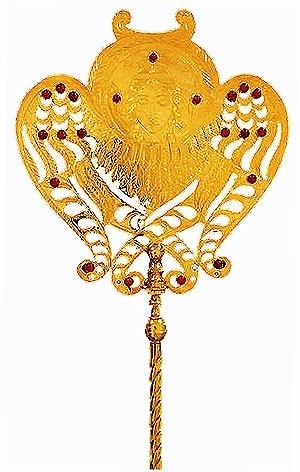 We offer processional flags in both Orthodox Russian and Orthodox Greek styles to cater to all requirements. 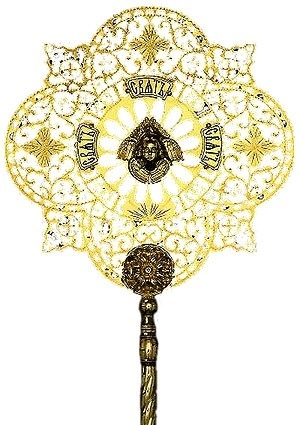 Our processionals fans are made from top quality brass. 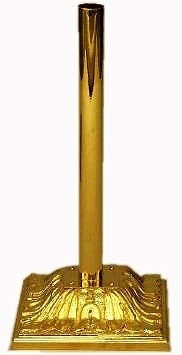 Gold gilding gives them an added layer of durability, lavishness and makes them easy to care for. 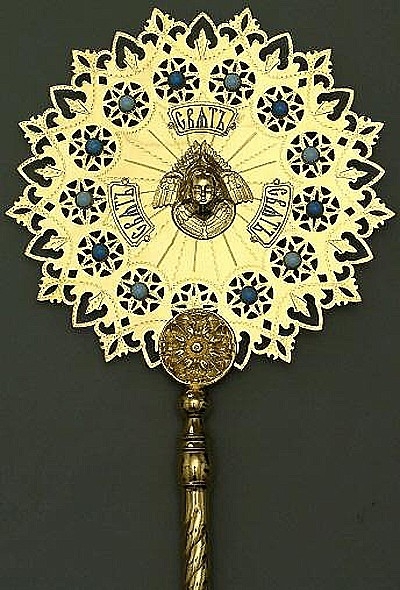 These fans feature an Angel icon in the center and mostly carry sacred inscriptions. 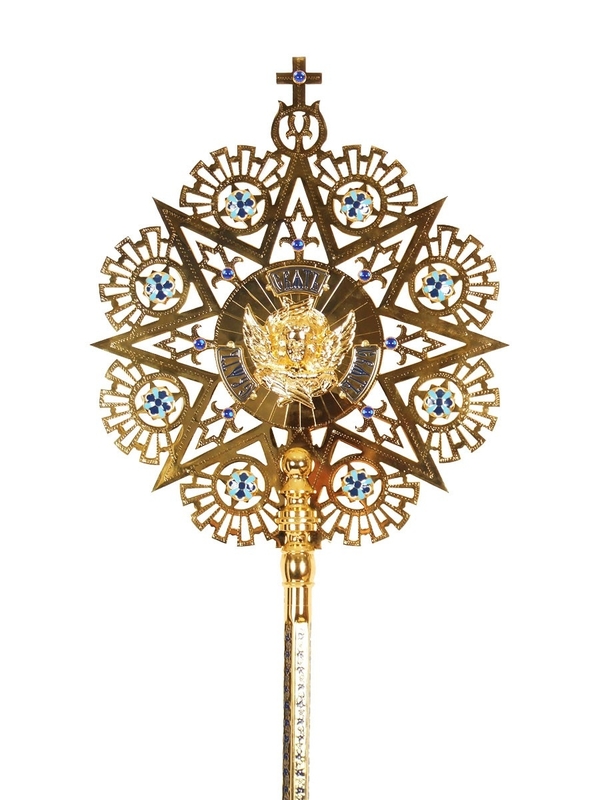 Their real beauty lies in their intricate patterns which have been rendered individually by devoted craftsmen with knowledge of Orthodox Christian liturgical arts traditions. Some designs include small, hand-fastened stones on the surface which add to their richness and visual appeal. 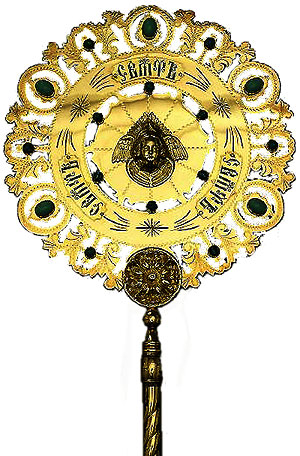 Although processional fans are not cheap, we have tried to keep their prices as low as possible to make them affordable to all churches. Prices range from under eight hundred dollars to over four thousand dollars. We provide good quality man-made leather packaging with velvet loom for items with SIA SKUs. A handle on top of the covering makes it easy for users to carry them. Customers can zoom into images and review product details before making a purchase decision. All fans are sold without polls as they do not fit shipping sizing limits. 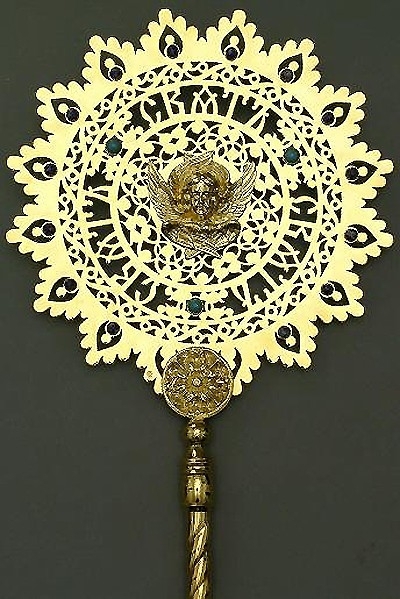 Whether you want to buy processional fans for your church or make a donation, you will not be disappointed with our range of beautiful designs that come with exceptional workmanship!